Jazz Festival, Newport Folk Festival, Volvo Ocean Race, etc. Newly redecorated and refreshed! 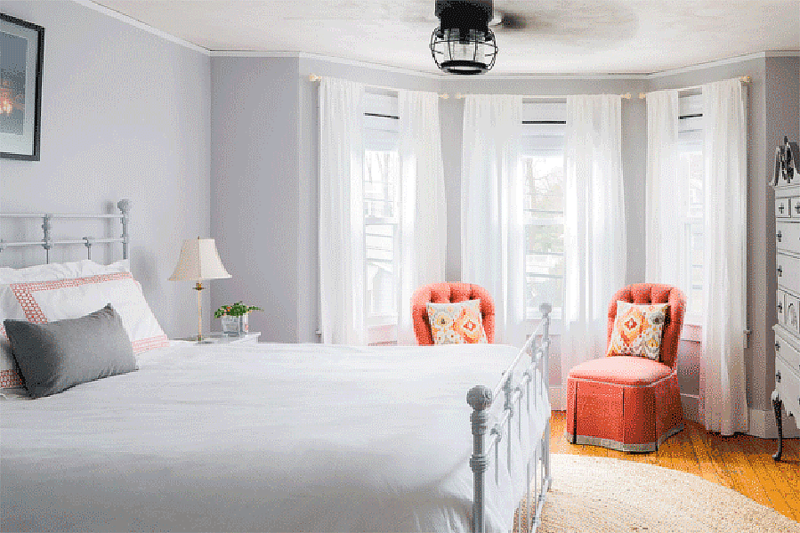 This is a spacious room with high ceilings decorated in soothing grey and coral. This room features a king bed and a sitting area with custom upholstered chairs and triple windows providing a view of the East Passage of Narragansett Bay. The en-suite bath features a large tiled shower decorated in bright coastal colors.